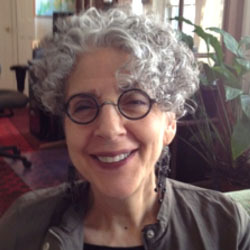 Fran Schwartz, PhD, LCSW, is an anthropologist and psychotherapist with extensive experience as an educational researcher and consultant. Since 1987, Fran has worked actively to connect families and schools with the goal of involving all families in their children’s learning in educationally meaningful ways. As a member of the team at the Center for Family-School Collaboration here at Ackerman from 1990-1997 and at CKCC since 2004, she has worked with elementary, middle and high schools to bring these two systems together. Fran has evaluated school reform efforts and arts in education programs in New York and Philadelphia for many years. She has taught anthropology & education as well as action research and research methods at the undergraduate and graduate level. Fran maintains a private practice in Manhattan.